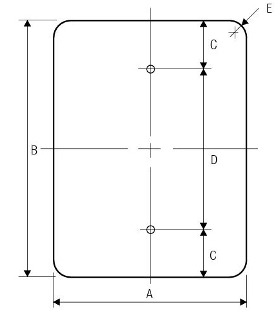 Pre-punched holes at center top/bottom for fast & easy mounting to our U-channel and square posts, fences, buildings, etc. 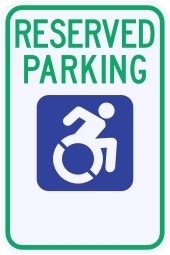 Ideal sign for use in places of business, community or medical centers, parks, public areas or where ever the marking of handicap accessibility is required by state and local code. This sign is D.O.T. MUTCD compliant.